It’s fair to say that having a low opinion of your boss at work is not unusual. Type ‘I hate my boss’ into Google and it throws out 44.7 million search results. That is a lot of people choosing to spend their time ranting and raving about injustice, perceived injustice, office politics, power games, mind games, and that fact that some people earn more than others and occasionally don’t deserve to. Personally, I like to diffuse the whole thing by refusing to get in to the whole boss/subordinate arrangement. In my mind I just have colleagues, some of whom are better paid than me for no apparent reason, and others who get paid less than me and can’t seem to get a break. Boss is a strong word, after all. In light of Italian cyclist and 2014 Tour de France winner Vincenzo Nibali’s recent troubles in the 2015 race, where he seems to be slipping further behind the leaders every time the road even hints at heading upwards, I got to thinking about the very public boss/employee relationship inherent in the sport. 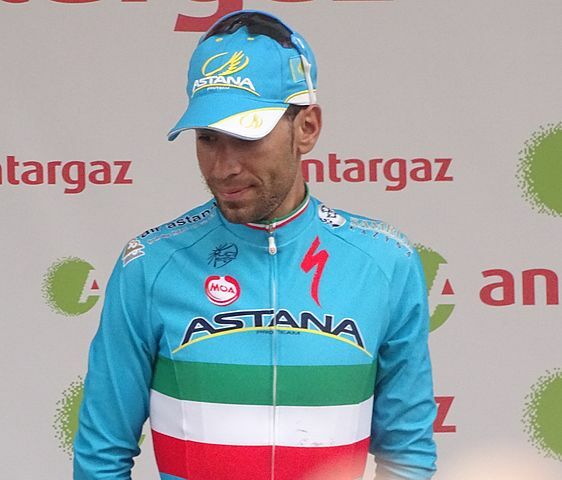 Nibali’s boss is Kazakh former pro cyclist Alexander Vinokourov, a man who has history (alleged bribes, positive tests, blood transfusions) to say the least. I wonder how Vinokourov would react to suggestions that he and Nibali are merely colleagues working towards a shared goal? Probably quite bullishly, I would’ve thought, given his recent outbursts regarding Nibali’s performance on the bike. As the Italian has gone from winning the Tour de France one year to looking lacklustre, unhappy, and fairly pedestrian the next, did his team boss put a fatherly arm around him and make respectful noises in the media about the unfortunate poor form of his star man? No. That wouldn’t be the Vinokourov we know and…erm…well, let’s be honest, we don’t love him do we? Admittedly Nibali’s form in this 2015 Tour de France has been poor, but doesn’t winning the thing last year at least give him a little bit of credit in the bank? Maybe he and Slovakian cycling superstar Peter Sagan should get together and compare notes; Sagan’s boss at Tinkoff-Saxo is Oleg Tinkoff, a Russian financier and no shrinking violet himself. In fact, perhaps Tinkoff and Vinokourov should get together for a night out and compare notes on the best way to deliver this very public people management of their respective star riders. If nothing else the idea of a night on the tiles involving those two amuses me and conjures all kind of mental images. Earlier this year Tinkoff was holding court with the media to complain about how much money Sagan was earning, and produced a sob story about having to pay that huge salary specified in his contract (of all places…heaven forbid!). Luckily, judging by his crowd pleasing antics and his jovial nature on the podium, Sagan seems to take all this stuff in his stride. Which tells us nothing, except that sometimes you’ve just got to laugh. That is a good point, however, I can’t help feeling he knows enough to know exactly what he’s saying! ?